A chic option. 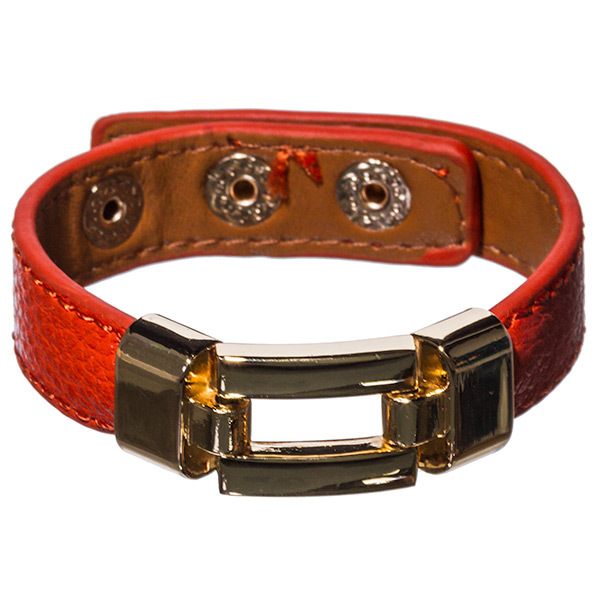 The Kennedy mixes up a luxurious palette of Hermés orange and gold in a leather bracelet with press-stud and metal detailing. Wear it on your wrist amongst a collection of fine gold bangles. You won't find such a diverse and extensive range of cheap jewellery online anywhere else. We hope you enjoy your shopping with us.